Enjoy the sights and sounds of the area’s largest musical variety show! Featuring music from Big Band Swing through today’s country. 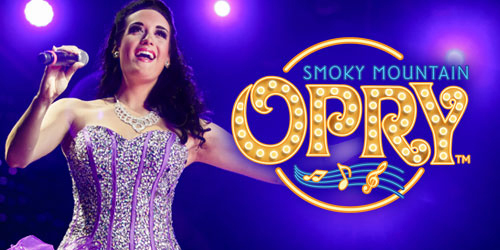 See the most talented cast of singers, dancers, comedians, and musicians the Smokies have to offer! Prepare to be dazzled by special effects, laser lights, pyro, giant video screens, stunning costumes, and high-flying musicians! From Country hits old and new, yesterday’s Disco, Jivin’ Swing, Movie Favorites, and a little Motown! Songs from Frank Sinatra, Kenny Loggins, Carrie Underwood, Garth Brooks, Stevie Wonder, Janis Joplin, The Beatles, Etta James, George Jones, and many others! Become part of the longest running feud in history! 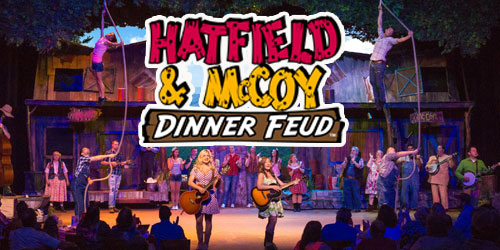 Help the Hatfields and McCoys as they try to settle their differences, mountain-style! From the singing and dancing, mighty feats of strength, jaw dropping stunts and side-splitting comedy, there’s something here for everybody! Oh, and don’t forget to come hungry! Enjoy a feast of delicious country cooking, all you can eat! Menu includes Granny’s fried chicken and country pulled pork shoulder barbecue; Smashed taters; Creamy cole slaw, buttery corn on the cob, creamy vegetable soup and Granny’s special dessert. Best dinner in town – Granny guarantees it! 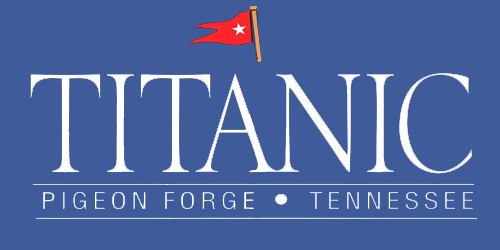 Experience the world’s most famous luxury liner firsthand at the Titanic Museum Attraction in Pigeon Forge, Tn. Relive history as you explore the hallways, parlors, cabins and Grand Staircase of the Titanic while surrounded by more than 400 artifacts directly from the ship and its passengers—many of these are on display for the first time in the world! This collection of artifacts is valued at over four and a half million dollars! You will have the chance to participate in several interactive exhibits, giving you a glimpse of the past—Touch a real iceberg, walk the Grand Staircase and third class hallways, reach hands into 28-degree water, try to stand on the sloping decks and discover the history behind this magnificent ship. Each guest entering the ship will receive a boarding pass of an actual Titanic passenger or crew. Discover your passenger or crew’s fate in the Titanic Memorial Room where 2,208 names line this historic wall. Be prepared to laugh until you can’t laugh anymore! 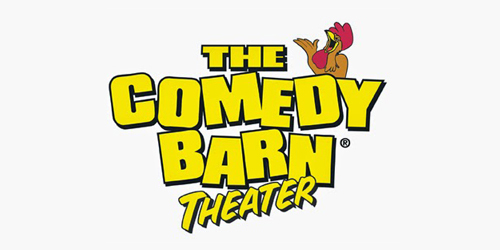 The Comedy Barn Theater Show–voted the most award-winning family comedy variety show in the Smoky Mountains–features magicians, jugglers, ventriloquists, comedians, live music and more! It’s a night of a thousand laughs, guaranteed! 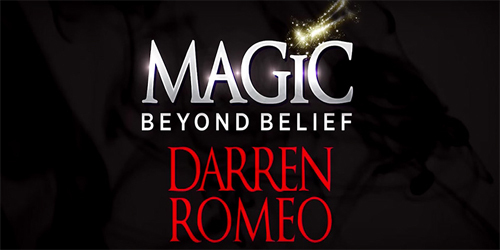 Magic Beyond Belief starring Darren Romeo brings magic and music together for an incredible and awe-inspiring show! The only protégé of Master Illusionists Siegfried and Roy, Darren Romeo brings his world-famous talents to Pigeon Forge, creating a multi-million dollar “Magic Beyond Belief” style, fun-for-the-whole-family production show featuring a talented cast, magical illusions, musical tributes, levitations, and much, much more! Darren is the only magician in the world allowed to perform Harry Blackstone’s famous legacy of the floating light bulb! Prepare to be amazed as state-of-the-art special effects, lights, sound and lasers enhance this one-of-a-kind magical production!